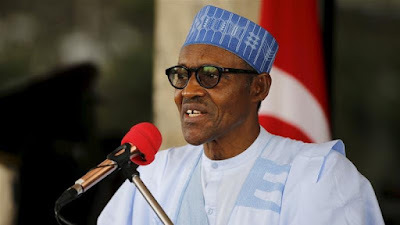 President Muhammadu Buhari has said that information available to him shows that only three of the 26 migrants who died in the Mediterranean and were buried in Italy recently were Nigerians. He, however, said he would not be surprised if a majority of the deceased were Nigerians. Buhari said this during a meeting he had with members of the Nigerian community in Cote d’Ivoire on Tuesday evening in Abidjan. The President is in the country for the 5th European Union/African Union Summit. He promised that his administration will do all within its powers to make the country more conducive in order to discourage youths from embarking on risky trips out of the country for greener pasture. He said efforts would be made to ensure that there will be less Nigerians daring the Sahara Desert and the Mediterranean Sea and getting perished. Buhari said, “It was announced that 26 Nigerians died but before they could proved that they were all Nigerians, they were buried. “But the evidence I got from my Senior Special Assistant on Diaspora Affairs now is that only three were identified as Nigerians. But I won’t be surprised if the majority of them were really Nigerians. “For people to cross the Sahara Desert to go into shanty boats across the Mediterranean Sea, I think we will try and keep them at home. “But for anyone who dared the desert and the Mediterranean without document to prove that he/she is a Nigerian, there is nothing we can do, absolutely nothing.